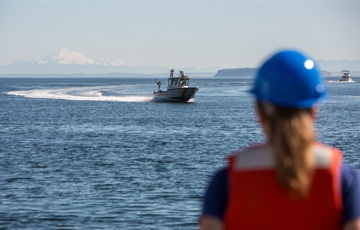 UW researchers are developing devices to answer some of the trickiest questions about marine energy’s environmental effects. A detection system that captures important data about interactions between marine life and marine energy converters — but only when marine life is present — is the key to drastically reducing the amount of low-value data collected. The research team behind Membrion seeks to reshape the renewable energy market with the technology that keeps beef jerky fresh and new shoes from molding. 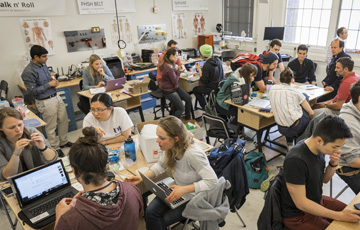 The Engineering Innovation in Health (EIH) program is transforming education in health technology design and entrepreneurship by providing a framework for engineering students and faculty to partner with clinicians and develop affordable solutions to today’s pressing health needs. Highlighted are five projects that originated through EIH and are still building momentum. The STARS program is designed to increase the number of students from disadvantaged backgrounds who graduate with engineering degrees. 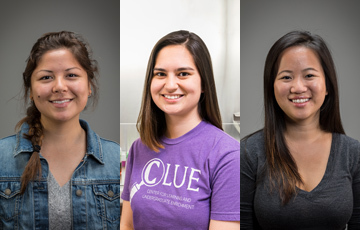 STARS students participate in a “redshirt” year their first year and typically spend five years at the UW; however, three students from the first cohort have completed the program and their engineering degrees in just four years. 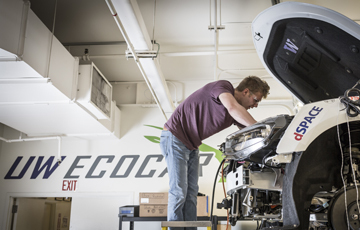 EcoCAR is multi-phase challenge in which students work to convert a Camaro into a hybrid-electric car. 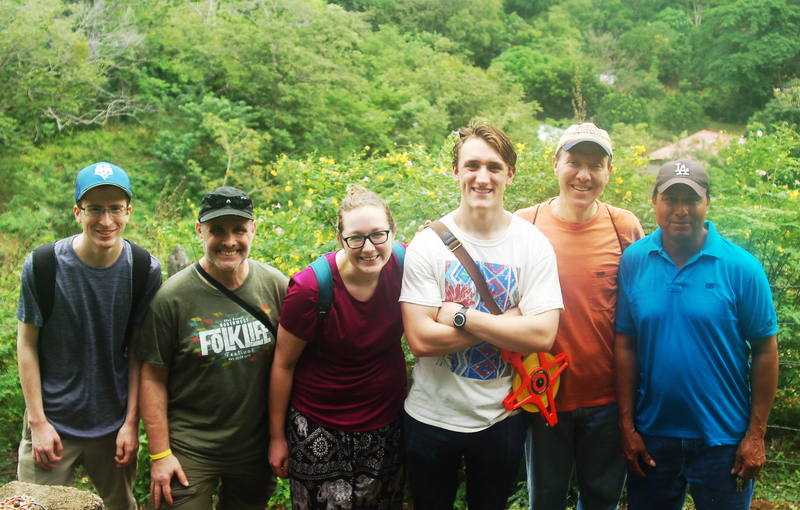 UW Engineering’s Vertically Integrated Projects (VIP) program supports multidisciplinary, long-term projects like EcoCAR that present real-world, experiential learning opportunities to students.